There’s no doubt that popularity of zero-turn mowers is steadily growing. One of the big reasons for this is due to the fact that zero-turn mowers can save you a lot of time. And if you own a landscaping or lawn care business, time is everything. 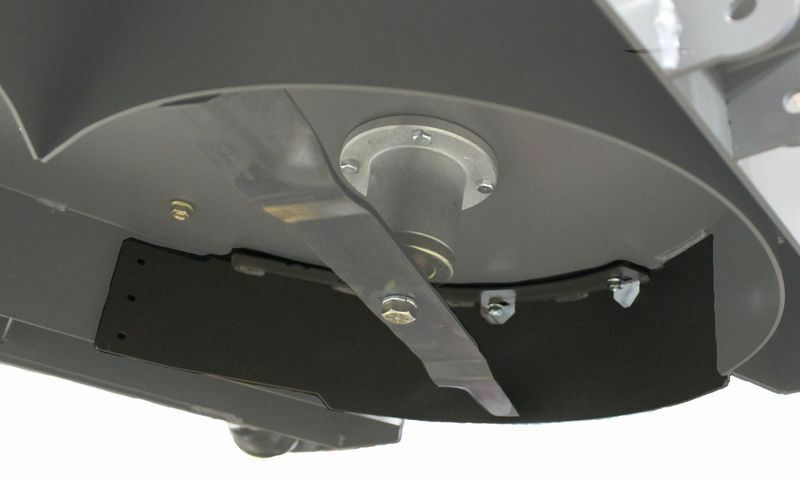 Here are a few ZTR accessories to help save even more time and grow your lawn care business. By using a zero-turn mower, you already save a lot of time when simply mowing your lawn. However, by adding a few ZTR accessories to your overall arsenal of landscaping tools, you can really increase productivity. 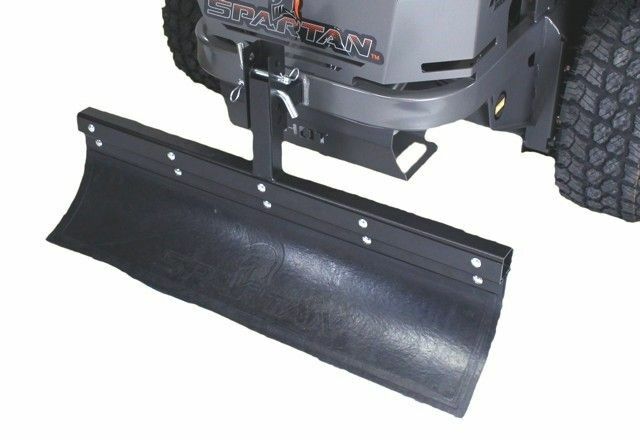 For example, by adding Spartan’s Mulch Baffling Kit, you can mulch grass and fallen leaves as you mow. Not only do the mulched leaves and grass turn into tiny pieces that help with the lawn’s overall health, but it also makes the lawn look nice and clean. And since there is nothing to bag or rake, you will definitely save a lot of time. For those who really want to grow their lawn and landscaping business, you should think about slowly adding additional services to the mowing and yard clean-up services that you already provide. For example, you could add fertilizing and/or weed control to your list of services. Not only does this possibly give you more income, but it can really help during the months of the year when mowing jobs are declining due to the weather. 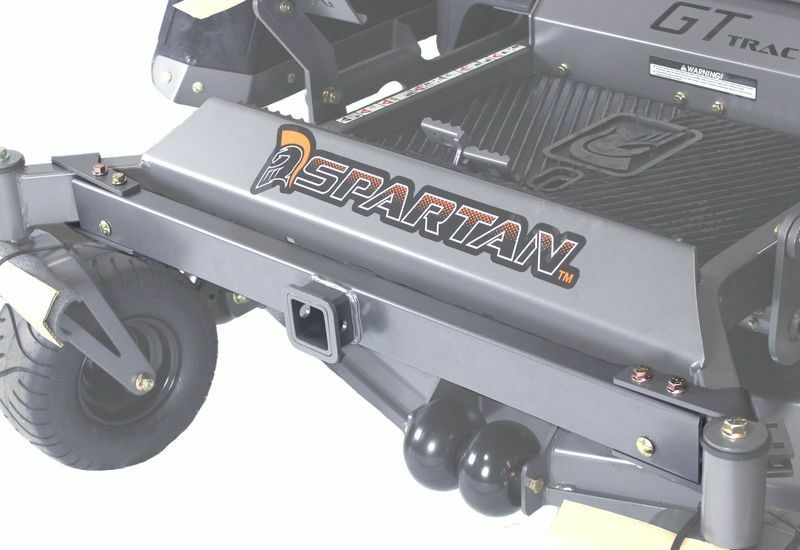 Our Spartan Sprayer Tray is a great accessory for fertilizing. 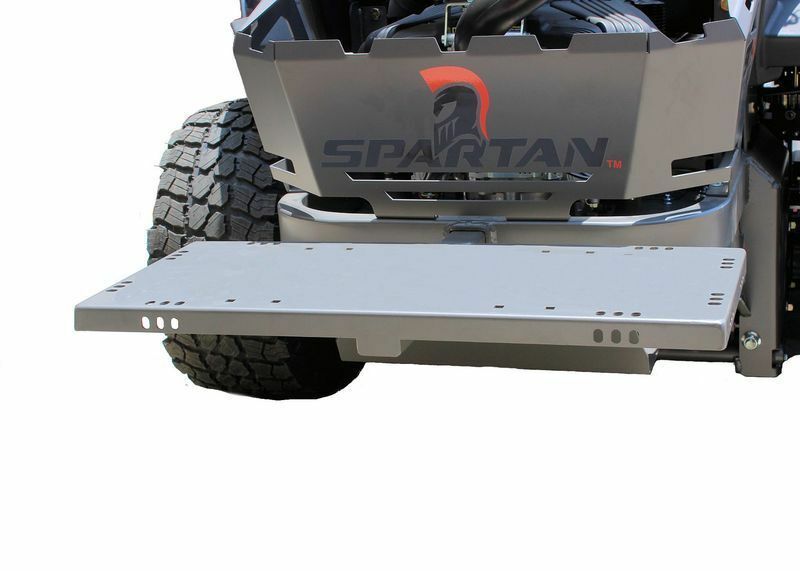 This rear mounted tray fits any 2-inch mount and can accommodate most 15-gallon sprayers for those who have larger yards. Adding mowing accessories such as a mower attachment to the front or rear of your mower is a great way to utilize your zero-turn mower. However, it is important to be conscious of the overall weight of the accessory and how it may alter the performance of the mower. It’s also important to note that too much weight can possibly cause damage to a customer’s lawn. Know your weight before starting. Here is a list of additional accessories that may benefit you and your team of landscapers and mowers. This accessory can really bump up your lawn care business to a new level. Your customers will love the professional looking stripes and patterns you create using the Spartan Striping Kit. The Front Tube Hitch is an accessory for your accessories. 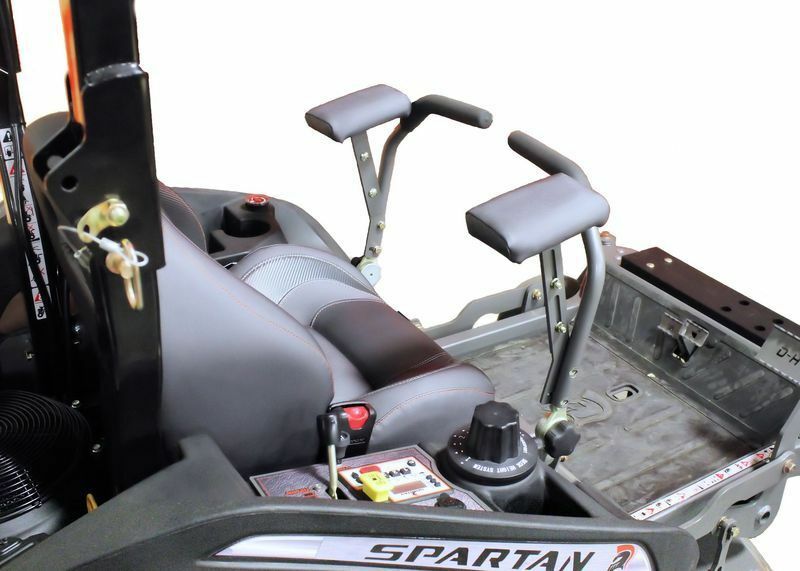 Easily attach accessories to your Spartan zero-turn mower using this standard 2” receiver. If you mow in an open field or areas without a lot of shade, then this is one mowing accessory that you need to put on your list. 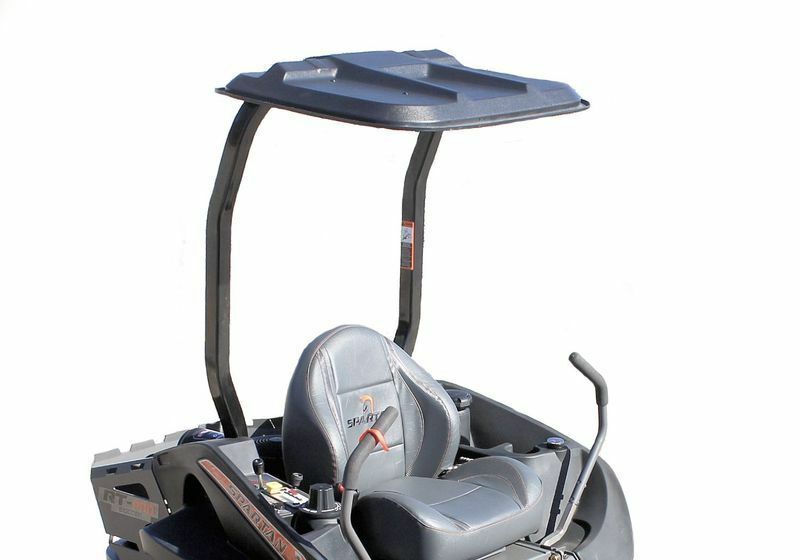 Keep cool with this canopy from Spartan Mowers. If you spend hours each day mowing, then adding items such as stress pads will make your job a little easier and hopefully leave your body a little less...stressed. These are just a few accessories to get you started. As your business grows, you will learn more about what you need and what items will improve your business. Have questions? Our dealers work with these mowers and those in the turf industry each day. Give them a call or visit a Spartan Dealer near you to learn more about our commercial zero-turn mowers and our mower accessories.